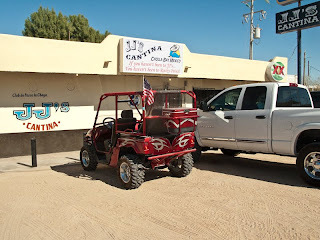 Yesterday we went with Earl, Lynda, Linda and Bob out to JJ's Cantina at Cholla Bay. 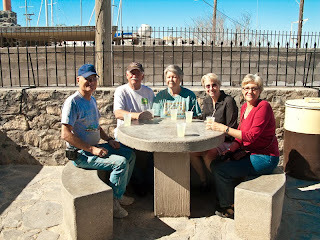 Cholla Bay is an old fishing town which also is home to Americans looking for a cheap place to live. JJ's is an institution in these parts. An old tavern with inside and outside seating right on the bay. This is very much a self serve type place. Since it was such a beautiful day we opted to sit outside. 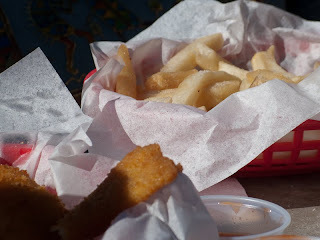 After an opening round of margaritas we all ordered fish and chips. 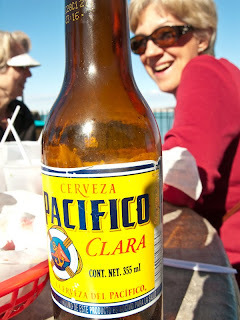 Doesn't sound very Mexican but it was local fish. We all agreed that the fish was excellent. 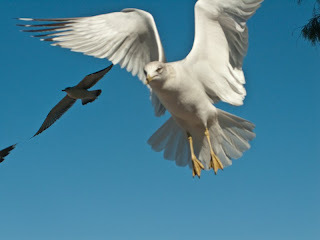 The girls decided it would be fun to feed a gull who was keeping an eye on us. Of course when you feed one gull you soon have lots of gulls. 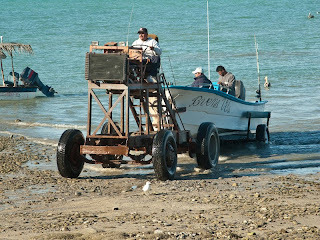 Later we wandered down to the shore to watch the unique way they pull out their fishing boats. When you don't have a pier, you make do with what you do have. 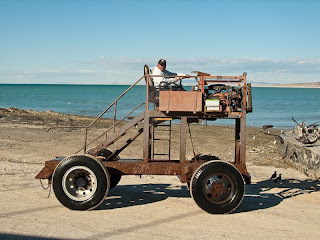 They would drive this contraption out into the water pull the boat trailer, hook up the boat and drive back to shore. 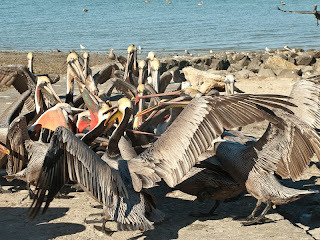 We noticed a flock of pelicans who were keeping guard on the breakwater. 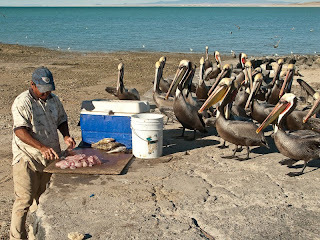 Soon one of the fisherman showed up to clean their morning catch. 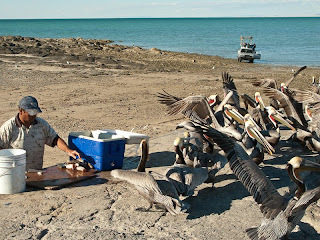 He would quickly fillet the fish and flip the remains to the pelicans who would fight over it. We suspect that these fresh fillets found their way into today's fish and chips baskets. One of the things you come to appreciate is the simplicity of these people's lives. I know it's not easy and most of them are probably living just day by day, but it does make one stop and think. 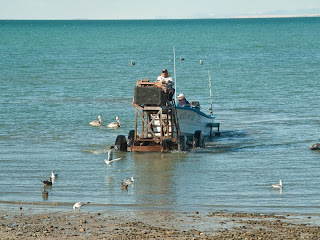 As I listen to CNN and FOX today going on and on about politics and weather, I do envy this simple life style. 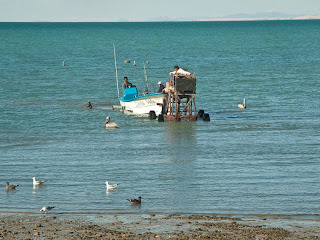 Could I trade places with these simple fisherman? Probably not, but it is a lesson in being thankful for all that I have.